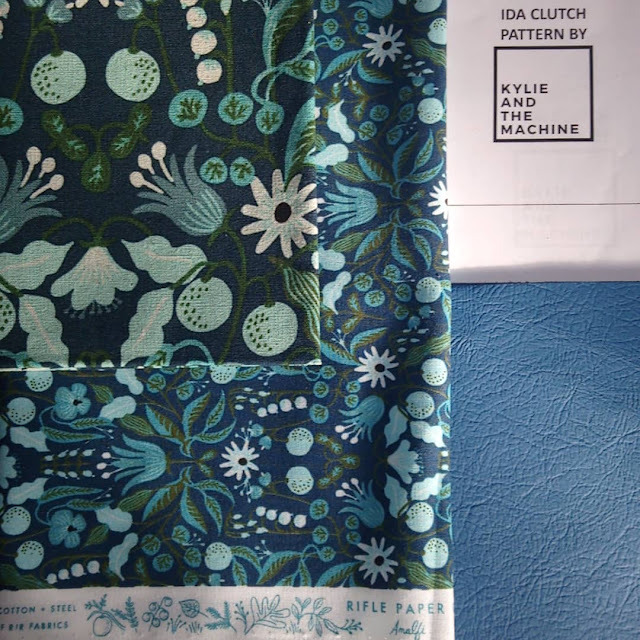 Back in early June I shared a sneak peak over on Instagram of my fabric choices for the #ogdenidaswap. 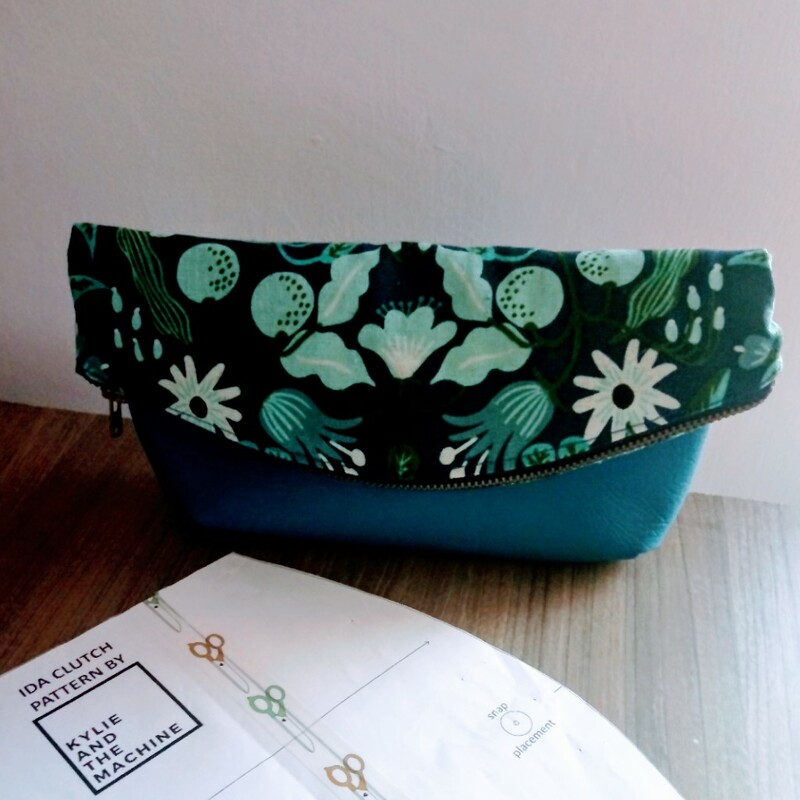 I can never resist using rifle paper co designed fabrics in swaps and this time was no exception choosing both cotton and canvas pieces in the turquoise Freja print from the Amalfi collection. I also stumbled across an offcut of turquoise leather on ebay that I hoped I could incorporate. Right at the beginning of the month I spent a lovely morning with Katie. 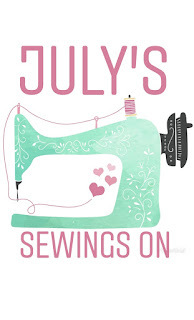 It was great to have the opportunity to meet up with a local sewing friend to chat and sew. To be fair I think I talked more than I sewed which explains why my Ida clutch didn't progress far that morning! 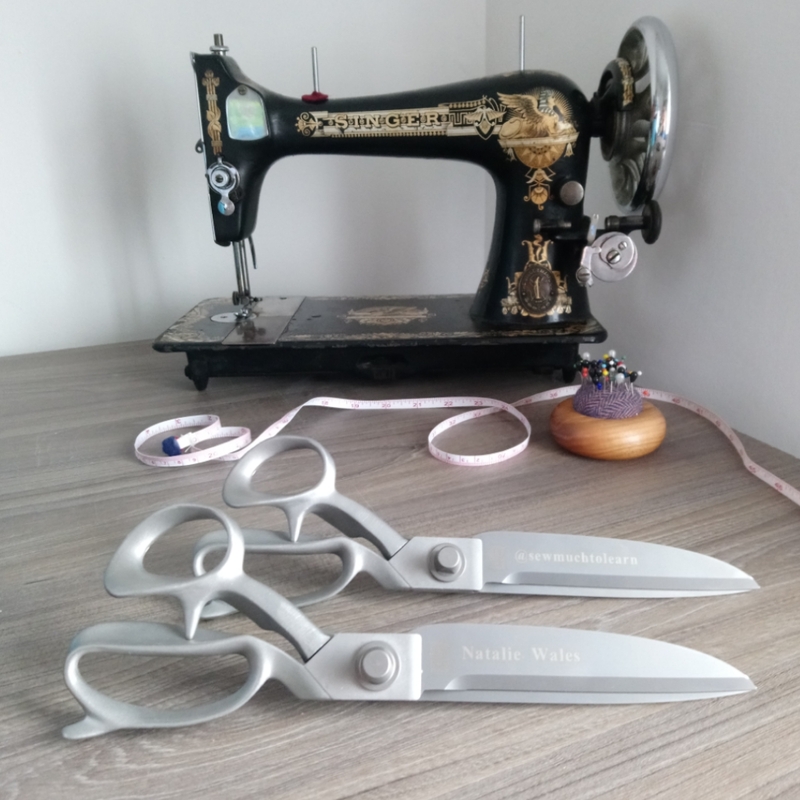 I received exciting happy post mid July when my Exo scissors from William whiteley arrived. I had ordered two personalised chrome pairs during a kickstarter campaign at the end of 2017 with an expected delivery of May 2018. The folks over at whiteley's had had a few issues with the production process so I was so happy to be a recipient of one of the first batches released. These scissors/shears are in a totally different league to what I had been using. I had backed the kickstarter campaign whilst there was a buy one get one free option so I'm now the proud owner of two shiny personalised super sharp pairs of scissors. 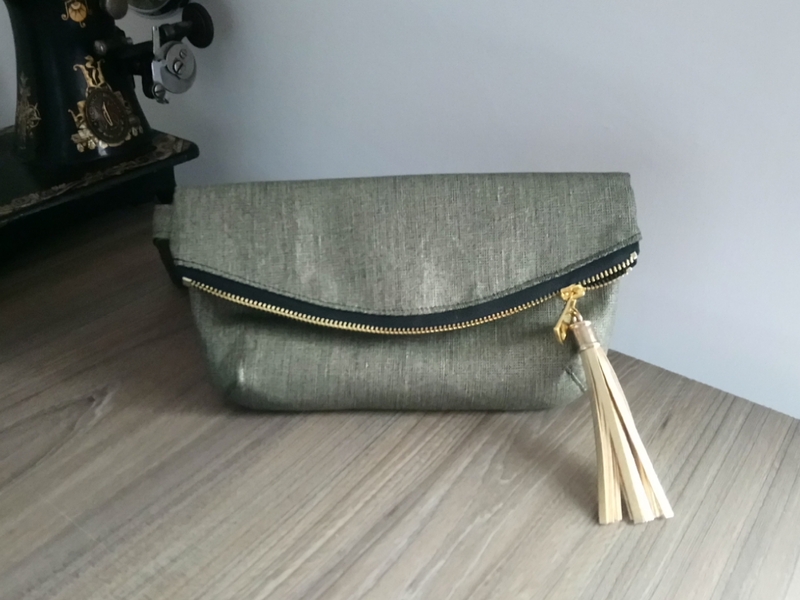 Then it was back to the Ida clutch bag making as the deadline was fast approaching. I'm not going to lie I really struggled with the leather, at parts where there were darts my poor machine really struggled to sew through the multiple layers but I persevered and managed to make a bag I was happy with. My Ida went on its way to my recipient Jen along with a few other treats. Thanks heavens for next day delivery as I really was cutting it fine! And then it was time to open my #ogdenidaswap parcel. I had shown restraint which I didn't know I posessed in not opening it before reveal day. I think I was helped in part that I felt unable to enjoy my gift when I had yet to send mine on its way. My Ida was made by the lovely Vicky of sewstainability. I met Vicky at the little lawn party afternoon tea that I went to in York a while back. Obviously I follow her on Instagram and hadn't failed to see her snippet of what she had planned for the swap. As I was ripping into my package (I'd lost all restraint by this point!) I recognised the gold linen and tassel and knew exactly who my Ida was from and couldn't have been more pleased. As is often the case with these swaps Vicky had gifted me a few things; candy, a magnet, the best of bookmarks and a set of fabric samples. 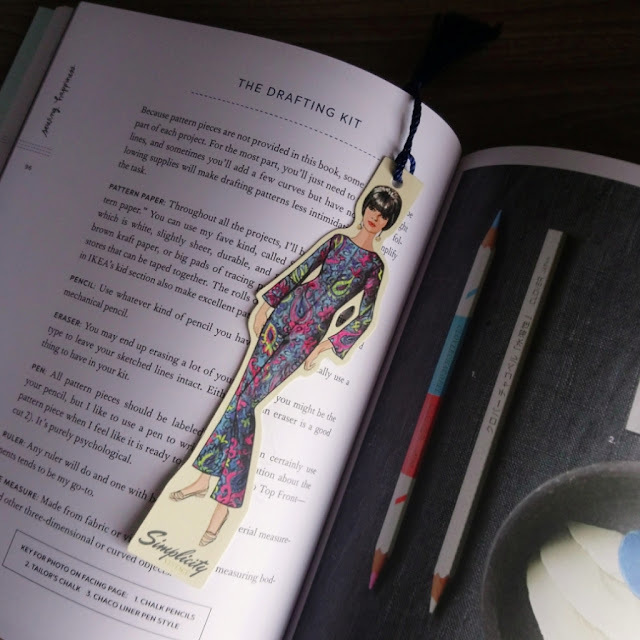 I love the bookmark. I think the vintage pattern illustrations are like little works of art. I hadn't seen that bookmarks have been made from them, this one is a simplicity vintage one and is just fab. Also this month I attended a craft social evening in Sheffield and sew down Dewsbury. Both of which I hope to blog about separately. So that was July! There's lots to look forward to in August, most notably the sewing weekender hosted by the fold line and Charlotte of English girl at home. Until next time, happy sewing.